I created this mask after noticing my skin was looking dull and tired one day. I had been reading about all the benefits of matcha tea and wanted to try it. What I came up with is this super easy DIY Matcha Tea Face Mask that not only beautifies your skin, but also pampers and nourishes with the power of green tea and honey. After using this mask, my skin (dry by the way) was toned, felt hydrated and was glowing. Pamper yourself and try out this nourishing, anti-oxidant mask the next time you do a facial. Matcha tea as a facial treatment provides tremendous benefits to your skin. Matcha tea is powdered green tea and considered to be an anti-oxidant powerhouse, each cup boasting as many anti-oxidants as 10 cups of normal brewed green tea. This tea also contains EGCG and chlorophyll. These attributes give the tea its anti-bacterial, anti-oxidant and antimicrobial properties that help fight acne, fade scars, rejuvenate skin structure, increase skin hydration, remove toxins, reduce inflammation, fight fine lines and wrinkles, prevent skin cell damage and stimulate circulation. 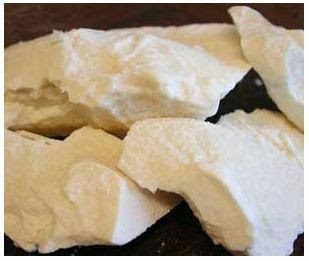 Bentonite clay – often referred to as a “healing” clay is a clay primarily composed of volcanic ash. 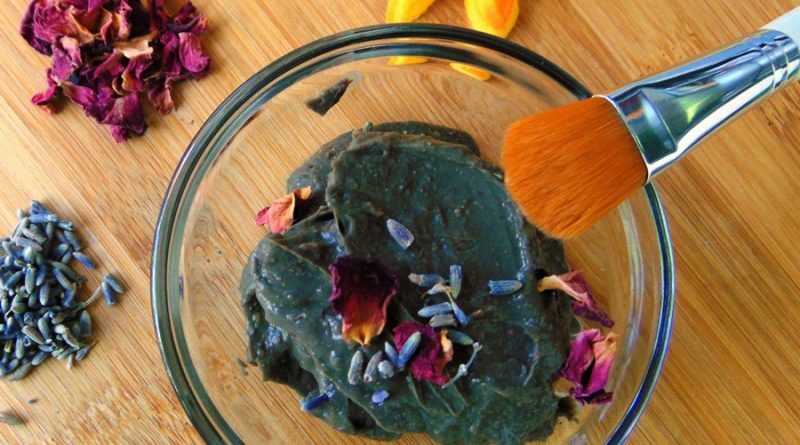 This clay is detoxifying, brightening and skin regenerating. It also helps reduce pore size and keeps skin soft and supple. Lavender flowers – Lavender is known for its soothing, calming and relaxing aroma, but did you know that it can work wonders for our skin as well? It is anti-bacterial, skin brightening, anti-aging and helps balance sebum production for both oily and dry skin. Rose petals –Roses are beautiful and will be forever linked to love. Who knew that a simple rose could have so many skin benefits? Roses are hydrating, antibacterial, anti-oxidant, toning and anti-inflammatory. 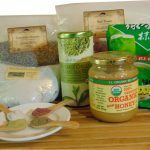 Raw Organic Honey – Raw honey is excellent for skin. 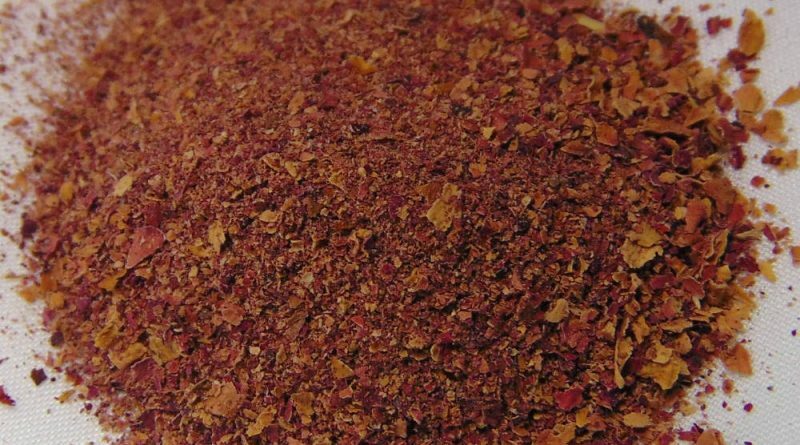 It is anti-inflammatory, anti-bacterial, anti-fungal and anti-aging. It also contains enzymes, nutrients, minerals and vitamins all of which are great for healthy skin cell regeneration. Boil 1/2 cup distilled water and steep matcha green tea bag for 10-15 minutes. Let cool room to temperature. 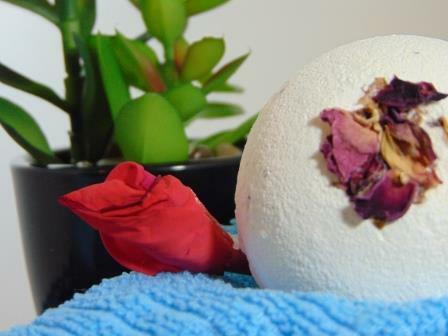 In a separate bowl, combine matcha green tea powder, bentonite clay, powdered lavender and powdered roses and blend well. Add green tea water mixture a tablespoon at a time until desired consistency is reached. Add in honey and mix well. Apply mask to clean dry skin for 15-20 minutes then rinse well with warm water. Pat dry. Moisturize.